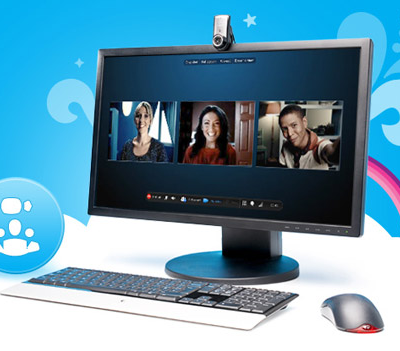 “Skype in the Classroom” is a new network allowing teachers and classrooms to connect with each other by way of video chat and text messaging all over the world. A class in Missouri is using it for a 5th grade weather project, comparing weather in five cities. A class in Maine talked with former first lady Barbara Bush. A class in Yardley, PA, plays a Skype mystery game where they call a classroom at random and give clues to their whereabouts. Each class tries to guess where the other one is. A class in Colorado Springs connected with a child’s dad in Iraq on Veteran’s Day. Still others are practicing foreign languages.